The website, created by the Press and Communication Office of the Greek Embassy in Warsaw, has recently surpassed the 107.000 visitors, with an average of 200 views per day. Visitors’ preferences regard Greece today. 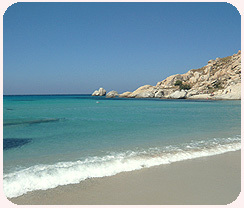 Mostly visited is info about monuments and touristic destinations in Greece. Various other categories of news on politics, economy, culture (archaeology, history, theater, books, cinema, art, photography), mass media etc. attract the attention of visitors.